Our company is highly esteemed in offering Automobiles Wire Harness. To keep in pace with the increasing demand of our customers we are engaged in delivering large variety of Automobile Wire Harness. We offer premium quality Automobile Harness Wire to cater the demands of prestigious clients. These products are precisely made and damage proof in nature. Minda is a Leading Manufacturer of broad range of Wiring Harness, Battery cables, Wiring Sets , Connectors & Terminal for Commercial Vehicles , Utility vehicles, 2/3 wheelers. Wiring division is a TS 16949 & ISO 14001 certified company. I have a duty to convey an electrical signal (ignition device) in the seat belt pretensioner squib (locking device winding) in the event of a collision. We are successfully meeting the varied requirements of our clients by providing the best quality range of Conversion Wire Harness. At Dhoot Transmission we provide Car Center Locking Harness to our customers. 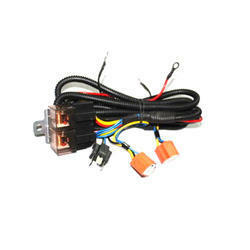 We are manufacturer and supplier of Hero Honda Splendour KS Wiring Harness. These are extensively used in automobile industry and are highly reliable. 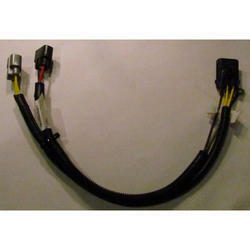 We have been counted as major firm offering high performing Automotive Wiring Harness.